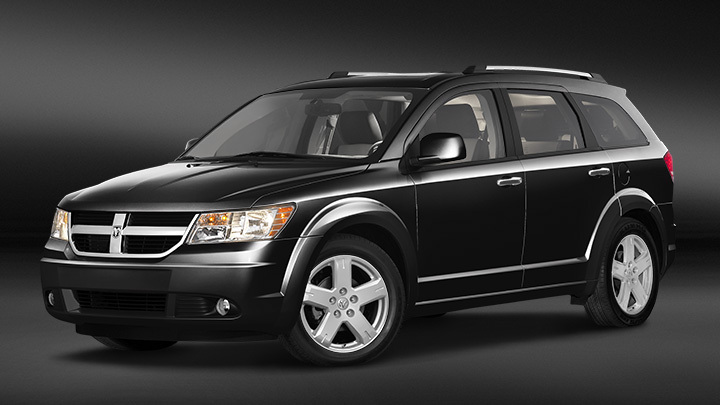 If you like your cars American style the Dodge Journey could be the seven seater car you are looking for. With styling reminiscent of the Chrysler 300C it is a good value alternative to some European rivals. There is a lot of equipment as standard on this car and in terms of space it competes well with rivals. It also offers buyers exceptional value for money. 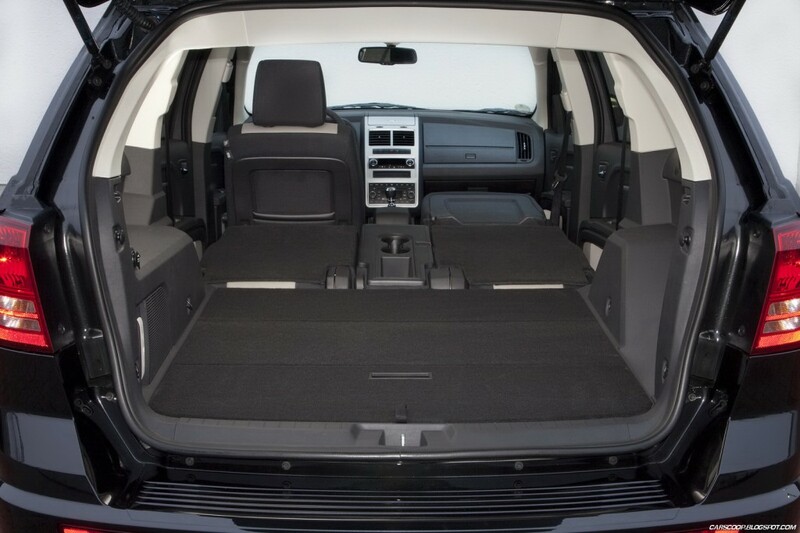 Whilst there isn’t a lot of boot space if you are using all seven seats, fold down the boot seats and you’ve got 816 litres of luggage space. This is very easy to do by just pulling on a tab on the top of the seat and it folds flat into the boot. If you fold down the middle row seats as well you get an enormous 2,117 litres of carrying capacity. The middle row seats are not individual and be aware that the middle seat is quite narrow so it could be an issue if you need to fit three car seats side by side. Access to the boot seats is very easy. Just pull a lever on the top of one of the outer seats and it tilts and slides forward well out of the way. If you are transporting a really long object you can fold the front passenger seat flat as well. There is a booster seat built into the outer middle row seats. There are lots and lots of cleverly concealed storage places in the Dodge Journey. Something that families will appreciate. The Petrol engine does 0-60 in 9.8 seconds and has a top speed of 117mph. The 2.0 litre diesel still has good performance figures doing 0-60 in 11.2 seconds and a top speed of 116 mph. It also has power where you need it rather than the petrol engine which has to be revved hard to get the same performance out of it. The Journey hasn’t been tested by Euro NCAP so I can’t report the figures but it does come with a lot of safety features including stability control, traction control, brake assist and a Roll Mitigation system which helps to prevent the car rolling over in an accident. Some owners will also be using their car to tow a caravan and it includes a Trailer Sway Control system which detects if your caravan has started to sway about and tries to counteract it. It is also one of the few seven seater cars that has curtain airbags which extend along the entire length of the vehicle as well as front and side airbags. The big seats are quite comfortable and the cabin is reasonably well made. Dodge seem to have targeted European buyers more with this car with better quality materials on show but it still seems a little dated. The Journey has light steering which makes quite a bit car easy to manoeuvre around town but it lacks the control of competitors such as the Ford S-Max and tends to roll when going round corners. The ride in the Dodge journey isn’t particularly comfortable. The suspension is too firm yet this doesn’t stop the car rolling round corners somewhat. Even the seats are a little on the firm size. The diesel engine can also be quite noisy. Whilst materials are of reasonable quality in the 2011 JD Power survey owners rated reliability as below average. 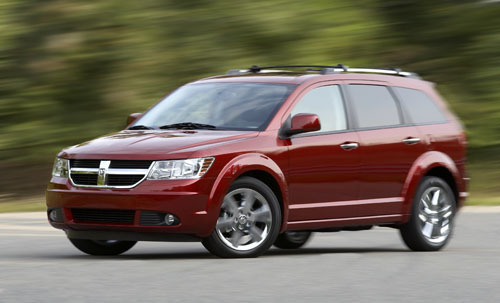 The Dodge Journey does come with a three year warranty for peace of mind for new buyers. If you go for the 2.4 petrol engine then get used to high fuel bills as it averages just 32.1 mpg and car tax isn’t exactly cheap either when it produces 209g CO2 / km which puts it in band K costing £270 per year. Opt for the 2.0 CRDi diesel engine and things become a lot more reasonable.This engine does 44.5 mpg and produces 165 g CO2 / km which puts it in band G costing £170 per year. The Dodge Journey is a seven seater car that offers a lot of practical space for the money. It has a certain style that is unlike most other seven seat options on Britain’s roads.